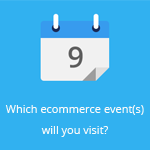 April 3, 2014 by Ecommerce News. About Statistics with tags France. 13952 views. 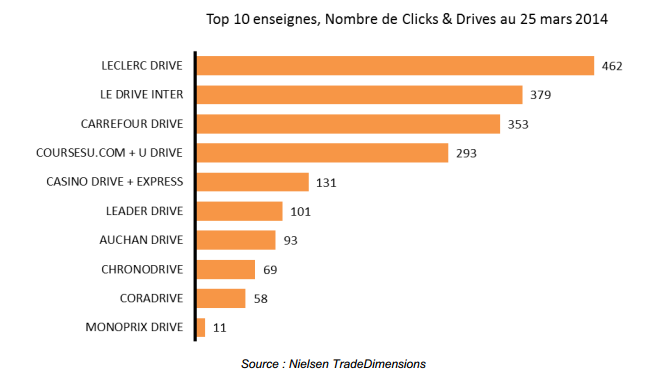 The number of so called Click & Drives, where consumers can pick up their goods at a drive-through so they don’t have to get out of the car, went up to 2031 in France. 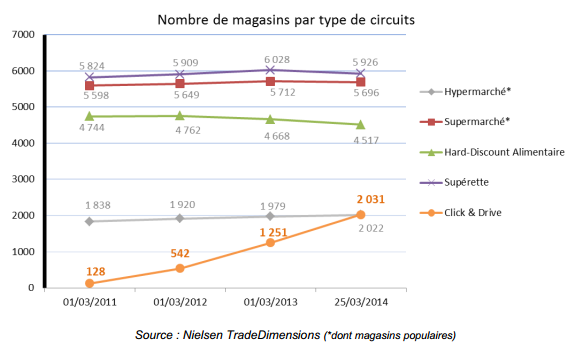 The Click & Drives now outnumber the hypermarkets in France, of which there are 2022 of them. These numbers come from Nielsen research. And according to data from LSA Expert, there are even more than 3000 ‘drives’. The drive-through formula is in any case very popular in France and the locals use it in two different ways. It’s either a service drive where you pick up your ordered groceries at a counter, or it’s a Click & Drive where you go to a parking and stay in your car while the groceries you ordered online are being put in the back of your car. Back in June 2000, Hypermarket Auchan was the first to introduce the drive-through in France. A few years later it became possible to order online before going to the pick-up area. One of the first companies to develop this concept in France was Chronodrive.com. The top 3 of supermarkets with the highest number of drives in France as per March 2014 are: Leclerc Drive (462), Drive Inter (379) and Carrefour Drive (353). They are followed by Coursesu.com and U Drive (293), Casino Drive and Express (131), Leader Drive (101) and Auchan Drive (93). During a recent conference organized by magazine LSA, the Kantar Worldpanel estimated that today’s market share of the drives is at 3,9 % and it should reach between 6 % and 8 % in 2015. 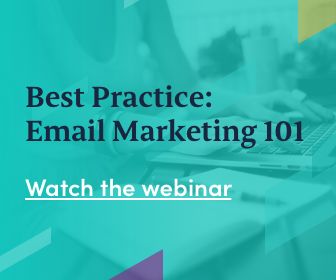 The Click & Drives have become essential to French consumers as they consider them as time-saving. Also, 83% of the French compares prices before buying when it comes to food. For this they have access to several price comparison website to see which drive-through is the cheapest. Monsieurdrive.com, launched in April 2013, is the most well-known name. Last month, this company received a 2 million euro funding from the Swedish Media Group and investor Schibsted (who’s also editor of the French leading online classified website Leboncoin.fr). The newest price comparing site on the French market Topdrive.fr.